Geothermal could be a game changer for Montserrat, the Honorable Premier Reuben Meade said Tuesday. Speaking to reporters, the premier noted that if geothermal energy is found on island it will change not only reduce the high energy bills for residents but provide new business options that can be pursued here. 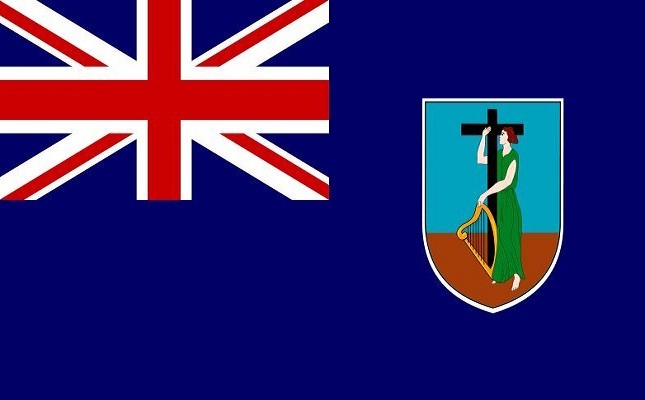 This week Montserrat attains a new milestone on its push for green energy, with the expected arrival of the Iceland Drilling Company’s rig which will dig the island’s depths in the Exclusion Zone in search of enough steam to make geothermal the future energy source for the island. Piensa en Geotermia se ha puesto en contacto con Raúl Hidalgo, director de operaciones en España de la empresa australiana Petratherm para comentar el estado, novedades y perspectivas de los proyectos que están desarrollando en las Islas Canarias. Piensa en Geotermia has been in touch with Raul Hidalgo, director of operations in Spain of the Australian company Petratherm to comment on developing projects in the Canary Islands. Advanced Energy Economy (AEE) has launched a new website, AdvancedEnergyNOW.net, to illustrate the scope of the advanced energy industry. The site draws on the findings of a report released this month by AEE showing that advanced energy was a $1.1 trillion global market in 2011, larger than pharmaceutical manufacturing worldwide. AdvancedEnergyNOW.net documents the advanced energy Industry's economic impact, showcases the breadth and depth of the advanced energy industry, and highlights real-life examples of advanced energy technologies and businesses in action. Through an innovative site design, AdvancedEnergyNOW.net invites visitors to explore the world of advanced energy and to learn how this industry is driving the world's energy future, today. The New Zealand Supreme Court has warned the Maori Council it needs to prove the government's ability to recognize Maori interests would be restricted if Crown assets, including geothermal energy producer Mighty River Power, were partially sold. Chief Justice Dame Sian Elias told council lawyer Colin Carruthers QC this morning he needed to prove the "mechanisms" available to provide recognition for Maori are no longer sufficient if a third party is introduced. Mr Carruthers says there is an acknowledged claim by Maori to water resources and he argues the sale will deprive the Crown of the ability to provide Maori with an opportunity for a measure of control over their own water and geothermal resources. The United States Energy Association (USEA) seeks an experienced Deputy Program Director with technical expertise in geothermal energy, international development experience, and knowledge of East Africa to assist with the management of a U.S. Agency for International Development (USAID)-funded project to advance geothermal energy development in East Africa and expand business opportunities for U.S. geothermal companies. Candidates who meet the position requirements and are available to begin work in Spring 2013 should email a cover letter, resume, and three professional references to Steve Hirsch, EAGP Program Director, U.S. Energy Association, 1300 Pennsylvania Avenue, NW, Suite 550, Washington, DC 20004-3022 at shirsch@usea.org and to Andrew Palmateer at apalmateer@usea.org, no later than March 2, 2013. The Maori Council’s last ditch bid for freshwater and geothermal resource ownership rights is underway at the New Zealand Supreme Court today. Five judges are presiding over the case and will determine if the High Court was right to dismiss the Council’s request for a judicial review into the Government’s partial asset sales plan. The Maori Council, joined by the Waikato River and Dam Claim Trust, argue the Government was unlawful in its process to sell 49 percent of Mighty River Power because water rights were not resolved. Both the Council and Trust claim Maori own the fresh water and geothermal resources used by Mighty River Power to generate electricity. They want their ownership recognized when the company is no longer wholly owned by the state, but how this is achieved is undecided. Kenya is investing lots of hope and money in the Bogoria-Silali geothermal energy complex which it hopes will boost industry and encourage clean energy consumption. Stephen Samoei Magut looks calmly at the columns of steam escaping the cracked earth in Kenya's vast Kerio Valley. The picturesque landscape has been his home for the past seven decades. In 2011, the Kenyan government announced that the vast valley and surrounding escarpment areas would be the site of a multi-million dollar power supply upgrade that could become the largest geothermal project on the continent. Hawaii doesn’t have oil or natural gas reserves, but a Big Island lawmaker is worried that technology similar to that being used to extract oil and gas on the mainland may soon be employed in Hawaii by geothermal developers. As a pre-emptive measure, Sen. Russell Ruderman has introduced a bill that would regulate the practice in Hawaii. Ruderman told the Senate committee that companies want to use "enhanced geothermal" to break through layers of rocks and tap reserves that can't be accessed through conventional technology. But while the use of hydraulic fracturing — or fracking — in oil and gas development has been controversial on the mainland, geothermal experts say that the technology doesn’t carry the same risks for geothermal. “It’s definitely different from how natural gas fracking is done,” said Don Thomas, a geochemist and director of the University of Hawaii’s Center for the Study of Active Volcanoes. Successfully conducted open flow testing at Habanero 4. The first open flow test achieved the planned maximum of 35 kg/s at a flowing pressure of 27.7 MPa (4,020 psi). Following a local stimulation the second flow test achieved increased flow of 38 kg/s at 29 MPa (4,200 psi). During the quarter the major stimulation at Habanero 4 was completed. Over a period of 14 days commencing 17 November over 24,000 micro seismic events were detected. A two stage earn-in and joint operating agreement was entered into with Kentor Energy Pty Ltd, a subsidiary of Kentor Gold Ltd, to acquire up to a 70% interest in a conventional geothermal project on the island of Savo in the Solomon Islands. GRC member company Atlas Copco ranks 18th among the 2013 Global 100 Most Sustainable Companies on a list presented on January 23 at the World Economic Forum in Davos, Switzerland. The Global 100 list is based on a selection of 4,000 developed and emerging market companies, which are measured against key performance indicators such as revenues in relation to consumption of energy and water. This is the seventh time that Atlas Copco has appeared in the Global 100 rankings. Boosting customer energy efficiency by at least 20 percent between 2010 and 2020 by continuously designing and developing more efficient products. An initiative between Atlas Copco Secoroc and the U.S. Department of Energy, as part of President Obama’s challenge to generate 80 percent of U.S. electricity from clean energy sources by 2035, to develop a down-the-hole (DTH) hammer design capable of low-cost, high-production drilling in the high temperatures of deep geothermal wells. Increasing employee diversity in both nationality and gender. Atlas Copco will be exhibiting at the GEA Geothermal Energy Expo run in tandem with the 37th GRC Annual Meeting Sept. 29 - Oct. 2. Healdsburg's plan to use its highly treated wastewater for irrigation and recharging The Geysers geothermal field rather than discharge it into the Russian River took a step forward Monday with the budgeting of $1 million to build part of a pipeline network. The city intends to connect to Santa Rosa's Geysers pipeline, which runs though Healdsburg. The system uses recycled water from Santa Rosa's regional sewer treatment system to regenerate the geothermal reservoir at The Geysers geothermal field. U.S. Geothermal Inc., has provided a 2012 review and planned milestones moving forward thru 2013. During 2012, the Company's management and operating teams were focused on improving operations at Raft River, Idaho and advancing both the San Emidio, Nevada and Neal Hot Springs, Oregon projects into commercial operations. Commercial operations were successfully achieved at San Emidio in May 2012 and at Neal Hot Springs in November 2012. Both development projects experienced construction delays due to the innovative use of existing technology in a novel configuration. These innovations have successfully produced the geothermal power industry's first commercial, supercritical organic rankine cycle binary power plant using R134a as a motive fluid. R134a is a non flammable, non toxic compound used in the power cycle. The two projects have successfully moved non-commercial, significantly enhanced technology to commercial viability and are now generating electricity. The performance tests of the innovative plants showed that they produce significantly more electrical power than originally forecast. Due primarily to the colder winter temperatures, current total output of net base load power to our customers recently was 49 MWe with San Emidio at 9.4 MWe, Neal Hot Springs at 29.7 MWe and Raft River at 9.9 MWe. Nevada Geothermal Power Inc. (NGP), has announced it will seek buyers or joint-venture partners for its four remaining geothermal developments. Nevada Geothermal is also changing its name and carrying out a 1-for-5 reverse stock split, following a plan shareholders approved last year, the Vancouver-based company said in a statement today. Nevada Geothermal will change its name to Alternative Earth Resources Inc.
Australian energy company KUTh energy is set to start drilling as part of a new geothermal project in Vanuatu. Last week the Minister of Lands, James Bule, granted KUTh energy a licence to set up a geothermal plant on the main island of Efate. KUTh’s managing director, David McDonald, says that if a big enough reserve is discovered the results could be revolutionary for Vanuatu. David McDonald says the plant will also be good for the environment because most of Vanuatu’s power is generated by diesel. JPMorgan Chase & Co. (JPM) paid about $35.7 million for an interest in eight Ormat Technologies Inc. (ORA) geothermal power plants in California and Nevada. JPMorgan plans to pay Ormat an additional $8.7 million for 25 percent of the value of Production Tax Credit (PTC)s generated by the plants through the end of 2016, the Reno, Nevada-based developer said today in a statement. The so-called tax equity investment gives JPMorgan production tax credits and accelerated depreciation benefits that Ormat isn’t able to use, because “we generate more deductions for tax purposes than we are currently able to utilize,” Ormat Chief Executive Officer Dita Bronicki said in the statement. The PTC for geothermal is 2.2 cents a kilowatt-hour and applies to the first 10 years of a plant’s operation. The eight plants are part of Ormat’s Ormesa, Heber and Mammoth complexes in California and its Steamboat and Brady complexes in Nevada, Bronicki said today in an e-mail. JPMorgan invested $24.9 million in four of Ormat’s Nevada facilities in a similar transaction in February 2011. Wasabi Energy’s subsidiary Shanghai Shenghe New Energy Resources Science and Technology (SSNE) has bagged a US$10M engineering, procurement and construction (EPC) agreement with Sinopec for a 4.0 MW Kalina Cycle power plant. The deal will see the first application of the Kalina Cycle thermal power plant design in the Chinese petrochemical industry. Indonesian state owned oil and gas company, PT Pertamina, is set to evaluate geothermal drilling operations after a landslide killed six workers of PT Pertamina Geothermal Energy in Kerinci district, Jambi. Pertamina`s President Director, Karen Agustiawan, has instructed officials at the company to evaluate geothermal drilling operations, said PT Pertamina Geothermal Energy's (PGE) Corporate Secretary, Adiatma Sardjito, on Monday. "The President Director has instructed officials at the Pertamina Geothermal Energy to evaluate all geothermal drilling operations. The officials are required to look into extreme weather conditions and natural disasters that may pose a risk to workers," said Adiatma. Drilling at Reykjanes Geothermal Field: The first well in a two-well drilling program has been completed at the Reykjanes field. Initial indications for the completed production well are positive, and further details will follow. Drilling for the second well will commence shortly. The expected cost for the two-well program is $9 million, which will be paid from cash reserves at HS Orka. The new capacity expected to result from the drilling will be used for the planned 80 MWe expansion and as reserve capacity for the existing 100 MWe plant. Chile / Peru Partnership: Alterra and Energy Development Corporation (EDC) are actively documenting the next-phase agreement toward full partnership, while EDC continues to conduct its due diligence in parallel. Management expects any final arrangements to be completed within the first half of 2013. Possible HS Orka Transaction: Alterra continues to discuss the sale of HS Orka with prospective purchasers. Discussions have been complicated by foreign exchange matters and required approvals from the Central Bank of Iceland. The Japanese Ministry of Economy, Trade and Industry (METI) said Monday it will offer financial support to seven projects nationwide that aim to generate electricity by using heat energy from hot springs water. The move comes as Japan hopes to boost renewable energy in light of the Fukushima meltdown crisis and the nation’s subsequent quest to reduce its reliance on atomic power. The projects will cover six regions, including the Atagawa hot springs area in Higashiizu, Shizuoka Prefecture, the Arifuku spa area in Gotsu, Shimane Prefecture, and the Hokkaido town of Ashoro, a hot springs source. A recently released document has given the thumbs up for companies to take the first step in a potential geothermal energy project on Augustine Island, which hosts the volcano of the same name. A Jan. 14 document from Alaska Department of Natural Resources Division of Oil and Gas determined it is in the state’s best interest to investigate the island’s geothermal energy potential signaling the first regulatory step needed to see any future developments to fruition. Ram Power, Corp. has announced a corporate reorganization and strategic initiatives to enhance long-term cash flow and shareholder value. Ram Power will conduct a reorganization of its corporate office in Reno, Nevada, reducing both expenses and staffing levels to better align the organization to focus primarily on its Nicaragua operations including the continuing operation of the San Jacinto resource, the development of a binary unit at San Jacinto, and the exploitation of its Casita resource. Acting CFO Selby "Bud" Little's contract service agreement with the Company will not be renewed following its expiration on March 31, 2013 and current Chief Executive Officer and Director Shuman Moore will resign from the Company and the Board effective February 15, 2013. Ram Power has decided to either joint venture or sell the Geysers Project to a third party with the objective of maximizing the value to our shareholders and increasing the Company's corporate cash reserves. The Company is currently evaluating potential third party partners/buyers for the Geysers Project. Hawaii County residents offered a unified front against actions the Legislature took last year regarding what areas of the state could be used for geothermal energy. Testifiers spoke in support of a County Council resolution calling for the state Legislature to repeal Act 97, which got rid of geothermal subzones and opened the door for developers to locate geothermal production wells anywhere. Council members, meeting Wednesday at the West Hawaii Civic Center, apparently took the many testifiers’ pleas to heart and unanimously approved the resolution. Hawaii Electric Light Co. said Friday that it filed a proposed final geothermal request for proposals with the Hawaii Public Utilities Commission. HELCO, a subsidiary of Hawaiian Electric Industries subsidiary Hawaiian Electric Co., is seeking approval to issue the 50 MWe geothermal RFP and begin the bidding process to find potential developers of geothermal resources on the Big Island. A draft geothermal RFP was issued last November. The PUC also selected an independent observer, Boston Pacific Co., to monitor and advise on all steps of the competitive bidding process to ensure that the process is fair and stays within the PUC framework for competitive bidding. Once a final RFP is approved by the PUC, HELCO will issue the RFP, opening up the process for bidders, who will have 60 days to respond. (AUDIO. 4:27 Minutes) Mention the recent surge in oil and natural gas production in the U.S. and one word comes to mind for a lot of people: "fracking." Hydraulic fracturing is a controversial technique that uses water, sand and potentially hazardous chemicals to break up rock deep underground to release oil and natural gas. Ormat Technologies, Inc. announced today that Ormat Nevada Inc., a wholly-owned subsidiary (Ormat Nevada), and JPM Capital Corporation (JPM) entered into a tax equity partnership transaction involving eight geothermal power plants in California and Nevada. Under the transaction, Ormat Nevada transferred the plants into a new subsidiary, ORTP, LLC (ORTP), and sold an interest in the limited liability company to JPM. In connection with the closing, JPM paid approximately $35.7 million to Ormat Nevada and will make additional payments estimated by Ormat at approximately 25% of the value of production tax credits generated by the portfolio over time. The additional payments are expected to be made until December 31, 2016 and total approximately $8.7 million. GT Energy, an EON SE-backed Irish geothermal developer, expects to complete a fundraising for a plant to heat homes in northwest England in coming weeks. It’s raising about 2.6 million pounds ($4 million), partly for a 17 million pound facility in Manchester being developed with EON, Managing Director Padraig Hanly said by e-mail. The project will be 50:50 funded with debt and equity, he said. Planning consent for the Manchester plant, with thermal capacity of about 10 MW, is expected to be decided in April, Hanly said. GT received “very positive” feedback from local residents, and construction should start early next year and full operations in the middle of 2015, he said. GT is talking with local councils showing “significant” interest in geothermal in the U.K., Hanly said. The Manchester site is part of the deal with EON that GT signed to deliver as much as 140 million pounds of U.K. geothermal projects. Heavy rain triggered a landslide late Saturday in a drilling field owned by PT Pertamina Geothermal Energy, killing six workers on Sumatra island, company official Adiatma Sardjito said. “The workers were having dinner when the landslide suddenly occurred,” Sardjito said, adding that five others were injured. He said the company had sent heavy equipment to assist efforts to retrieve the bodies. The field is the Kerinci B-1 WKP near Sungai Penuh in Jambi province, on the island of Sumatra. The Geothermal Resources Council offers its condolences to our colleagues in Indonesia. Exhibitor registration is now open for the 2013 GRC Annual Meeting and GEA Geothermal Energy Expo, to be held September 29 – October 2 at the MGM Grand Hotel & Casino in Las Vegas. The event is hosted by the Geothermal Resources Council (GRC) with the trade show provided by the Geothermal Energy Association (GEA). 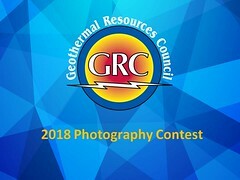 The Expo is the largest gathering of the geothermal industry, providing a unique opportunity for exhibitors to showcase their projects, equipment, services and state of the art technology to the geothermal community. Hawaii Electric Light Co. submitted its proposed final RFP for geothermal energy for the Big Island to state regulators on Friday. The RFP is for 50 MWe of geothermal energy. The Hawaii Public Utilities Commission still has to approve the RFP. Bottle Rock Power, LLC will have to wait another month to find out if it can continue geothermal-energy activities for the next 30 years. The Lake County Planning Commission delayed deciding on the proposed use permit time extension until Feb. 28 after determining not enough of the Cobb company's neighbors had been notified about Thursday's hearing at the Lake County Courthouse. The commission was set to debate whether to extend Bottle Rock Power's geothermal steam field use permit until June 2043, but one man who lives on the same street said he and some neighbors thought they should have been officially informed of the meeting. Job description: the successful candidate will establish a dynamic research program in fundamental and applied geothermics as part of a competence center for hydrogeology and geothermics. Experts in geological and geophysical exploration, characterization of aquifers and stimulated systems at intermediate/large depth, and hydrothermal/geochemical processes in such systems are particularly encouraged to apply. The successful candidate will foster synergies with local, national and international partners, contribute to teaching in the BSc and MSc curricula in English and in French after an adaptation period, and participate in administrative tasks. One way to warm up during winter, without blowing your summer holiday budget, is to try a natural outdoor bath. From the Blue Lagoon in Iceland to Budapest's selection of city baths, these hot springs can turn cold temperatures into a treat. Geographer and businessman Krishna Vaswani aims to raise US$4 million of financing in order to set up a 15 MWe clean-energy facility. The project, based on geothermal energy would cost US$15 million of which US$4m would be raised via equity and the remainder as debt. The developer would essentially be exchanging a 35 percent stake in the venture in exchange for the equity. Vaswani's venture sought the highest funding requirement but, according to him, offered the quickest return on investment. Additionally, it was the only innovative project that appeared. Geothermal exploration has never been done locally. "The return on investment (ROI) would be less than a year. The nature of this project the ROI would be amongst the best in the world," said Vaswani. "Over the six minutes I spoke we would have generated over US$12,000," he said. Vaswani said that his project would produce power at US$0.09 to US$0.15 per kilowatt hour. Consumers pay some US$0.40 for electricity from monopoly distributor Jamaica Public Service Company (JPS). Inventor: Garry Hine of Australia. "A hybrid geothermal power system is discussed. The system includes a geothermal system including power plant (101) and pumping station (102) and a nuclear plant (103). Pumping station (102) is used to inject fluid from reservoir (104) through an injection well (105) into the bedrock (106) (also referred to as the hot dry rock HDR zone) and extracted via a secondary bore (extraction well) usually coupled to the power plant (101). It's not the best day for solar and wind in California, it would seem: it's cloudy even in the desert, and there isn't much wind across the state. But the weather's always the same underground: geothermal power plants plug along delivering around 20 gigawatt-hours of power to the California grid every single day. Why aren't we taking more advantage of this 24-7 power source? It's a fair question. Even on days with lots of wind and sunshine, California's geothermal plants often provide more power to the grid than any other renewable source, or at least come in in second place behind wind turbines. The constant flow of this renewable would seem to offer a solution to that whole "intermittent renewables" dilemma that's prompting hundreds of millions of dollars worth of research into high-tech battery banks and costly solar thermal storage solutions. And yet while wind and solar installations have grown several times over in the last few years, geothermal output in California hasn't grown at all. 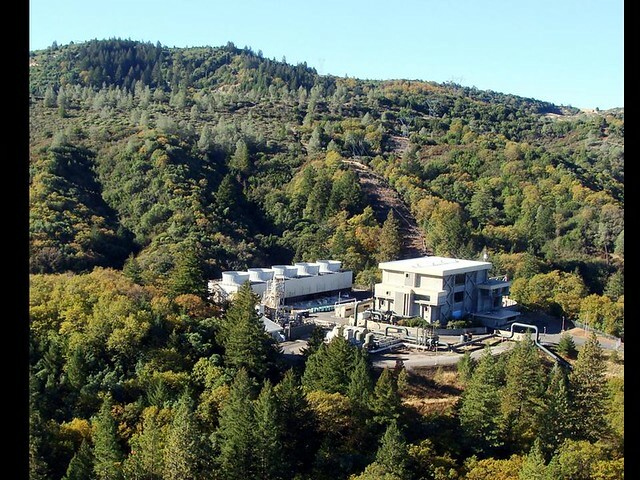 A startup backed by Google, Khosla Ventures, Kleiner Perkins and Paul Allen’s investment firm, called AltaRock Energy has delivered an important breakthrough for the next-generation of geothermal technology at a site near Bend, Oregon. Not a lot of startups tackle the field of geothermal power, which entails tapping into hot rocks deep in the Earth to produce energy and electricity. That’s because it can be an expensive proposition, and can require extensive permits and environmental reports. But a rare startup called AltaRock Energy has recently delivered a promising breakthrough that it says can lead to the commercialization of its next-generation geothermal technology. have a bigger greenhouse footprint than expected. Natural gas has often been touted as an energy source that offers a cleaner-burning "bridge" away from other fossil fuels like coal and oil. However, recent studies of leakage from gas fields and production facilities suggest that natural gas use may be far more dangerous to the planet's climate than expected -- with potentially serious ramifications for solar thermal generating plants as well. As a partial result of natural gas' recent low prices, some California solar plants have included a natural gas component to help generate power when the sun's not out. This is especially true of solar thermal power plants. Solar thermal plants generally use a heat-conducting "transfer fluid," heated by concentrated solar energy, to run turbines. One the sun goes down, that transfer fluid starts to cool. It can take some time the next morning for the sun to reheat that fluid to the point where it's hot enough to move the turbines again. Just another reason to go with clean, renewable, baseload 24/7, 365 geothermal energy. In an interview with ThinkGeoEnergy, Runolfur Maack of Icelandic engineering group Mannvit provides details about his company’s geothermal activities in Germany, Chile, Philippines and other international markets. Although Chile has a geothermal potential of 16,000 MWe there is a long way to go. High operating costs and lack of transmission infrastructure and other factors are the main drawbacks. Some of the data are featured in a talk on geothermal by Diego Morata, director of the Center for Geothermal Excellence Los Andes and engineer Mike Dunstall of Contact Energy. Adjuntamos la nota que se centra en el apartado geotérmico perteneciente al portal Apuntes internacionales. Un primer abordaje con los posibles aportes de la energía geotérmica en el marco de la generación eléctrica, fue dado por dos expertos, el ingeniero Mike Dunstall, PhD., con experiencia en recursos geotérmicos de Contact Energy, Nueva Zelanda; y el destacado profesor Dr. Diego Morata, PhD. Director del Centro de Excelencia en Geotermia de los Andes (CEGA), de la Universidad de Chile. Iceland is being torn in two by the spreading of the Mid-Atlantic Ridge. The Hverarond geothermal area, sits right on the ridge where cracks in the ground are actively widening and new ones appear every few months. Many of those cracks contain boiling mud pots, hot springs, fumaroles and solfataras. The smell of sulfur gas in the air is almost palpable and thick deposits of gypsum and sulfur cover the ground. There are very few safety precautions provided so you need to watch where you walk or you could be burned severely should you breakthrough the crust. The sulfur is almost pure and access was easy so sulfur mining has gone on here for hundreds of years. Production ceased when it was no longer economically viable in the mid-twentieth century. The flat-topped mountain in the background is one of several mountains in Iceland called Burfell (“cage mountain”). Europe is undergoing an energy transition with the aim to abolish nuclear, coal and other non-renewable energy sources through renewable energy developments. Such renewable energy resources are rapidly gaining importance. Besides the well-researched and already implemented solar, wind and hydropower domain, less research has been done in the analysis of very shallow geothermal energy resources in Europe. Thus, the ThermoMap project addresses the topic of very shallow geothermal potential or ‘vSGP’ in Europe, defined as the natural thermal conductivity of the unconsolidated underground, to a maximum depth of 10 meters. As the worst smog in years smeared China's skies, a city is looking deep into the ground for ways to clear its air. Baoding, in Hebei province, has vowed to tap its rich geothermal resources to free the city from smog. 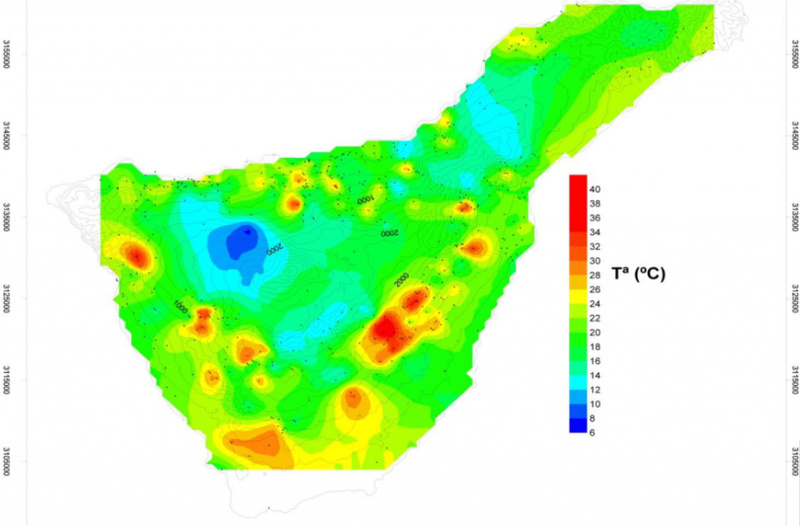 Four large geothermal fields have been found in the city, covering a total area of 3,700 sq km. Most of the city has used the clean energy for heating and bathing. "The utilization of geothermal resources has never been more important," said Ma Yufeng, the city's mayor, adding that the city has to protect the environment and provide resources such as agricultural products for the capital because of its location. Montserrat continues to prepare to explore its geothermal potential, which is scheduled to begin in earnest in February. The drilling rig and other equipment belonging to the Iceland Drilling Company (IDC), which won the contract to explore for energy resources, are scheduled to arrive on island January 29, say government officials. The U.K. Department for International Development (DFID) has allocated 8.5 million pounds for the exploration of geothermal energy on island. Since the contract with IDC was signed in October 2012, the site preparation work began in earnest. All of the areas have been cleared and the water tanks and other holding areas constructed. The drilling and testing phases are expected to take three to four months. Two wells will be drilled down to a depth of 5,000 feet in Zone C, between Weekes Village and Garibaldi Hill. A Geothermal Exploration Report (PDF) done by EGS Inc. of California said there was an 80% likelihood of geothermal energy on Montserrat. The deadline for receipt of abstracts is 31 May 2013. Refer here for full details on the submission process. Following peer reviews, submission of the final version of the abstracts is required by 31 July 2013. Notifications of acceptance will be sent to the corresponding author by 15 August 2013. Presenters must register by 31 August 2013 for their abstracts to be included in the program and proceedings volume. Icelandic paper Frettabladid reports this morning that the discussions about a possible acquisition of a 66.6 percent stake in HS Orka by an Icelandic group of investors from Canadian Alterra Power have closed without results. This would have been a major business for Iceland and Alterra Power. The Icelandic group, consisting of Modum Energy and Stefnir, a fund company by Icelandic bank Arion Banki, handed in an offer in the summer of 2012 hoping to have closed a deal by the same fall. Now discussions ended with no success. This deal would have been valued at about ISK 28 billion ($212 million). GEOPLAT is the Geothermal Spanish Technology Platform, a technological tool which belongs to the Ministry of Economy and Competitiveness. The objective is, through the Ministry, to align Spanish geothermal priorities in R&D+i (Research, Development and innovation) to R&D+i financing tools already available in Spain and Europe. This will maximize the opportunities for Spanish companies to participate in R&D+i projects, push geothermal technologies up the learning curve, and increase domestic industry competitiveness. Indonesian state oil and gas company PT Pertamina and state utility firm PT Perusahaan Listrik Negara (PLN) have finally agreed on an electricity price from geothermal power plants owned by Pertamina, Detikfinance.com reported. The agreement on price was facilitated by Dahlan Iskan, minister of state-owned enterprises (SoE). With this agreement, Pertamina could resume the construction of its nine geothermal power plants project. These projects have been long halted as Pertamina and PLN failed to reach deal on electricity price. Bill Honjas, president and CEO of Klamath Basin Geopower, the Olene Klamath Basin Geopower project developer, said water temperatures exceeded 250 degrees for a commercial-grade geothermal power plant. Because of the temperatures, which he said were verified independently, efforts are ongoing to widen the well to increase its capacity to produce power. Honjas said company officials are also determining where the next production wells will be located, probably within a five-mile radius. He said the company plans to drill two or three more wells this year as part of an effort to provide enough geothermal resources to develop a 20 MWe power production plant. Based on average estimates, each megawatt provides enough power for about 1,000 homes. Yokogawa Electric Corporation announces that its subsidiary, Yokogawa Philippines Inc., has concluded an EPC contract with Maibarara Geothermal, Inc. (MGI) for the design, supply, delivery, installation, testing, and commissioning, of the instrumentation and control systems for the Maibarara geothermal power plant and steamfield facilities. The contract was awarded on December 4. The Maibarara power plant will have a total output of 20 MWe and is being constructed in Batangas province, which is on Luzon Island. This is the first renewable energy project to be carried out under the Renewable Energy Act of 2008, and the first geothermal power station to be constructed on Luzon in 16 years. The initial commercial approval for this project was granted to MGI by the Department of Energy in November 2011, and MGI is targeting initial testing of the integrated power facility by July 2013, with commercial operations by the fourth quarter of 2013. Ormat Technologies cautioned Wednesday that it will report losses in its fourth quarter and full year due to a plant-related charge of up to $230 million. The geothermal company said the charge will be taken in the fourth quarter for its North Brawley power plant in California. Ormat said the plant has been unable to reach its design capacity of 50 MWe, instead running at somewhere between 20 MWe and 33 MWe. The company said it reached out to Southern California Edison to talk about contract options to its Power Purchase Agreement (PPA), and in early 2012 came to a written understanding to hold talks with third parties about buying the power at better rates. Last week, Southern California Edison sent a letter to Ormat stating that it was no longer interested in pursuing alternatives to the PPA — meaning Ormat could no longer seek a replacement PPA with higher electricity prices. Ormat has decided not to continue investing in the capital required to increase capacity at the plant, and said the plant will run at its current capacity of about 27 MWe. Often our energy needs leads to the overuse of natural resources like oil in a development model that will eventually turn against us. Renewables are the solution. These include geothermal. The United Nations University in Iceland trains scientists from developing countries to expand its use in other parts of the world. 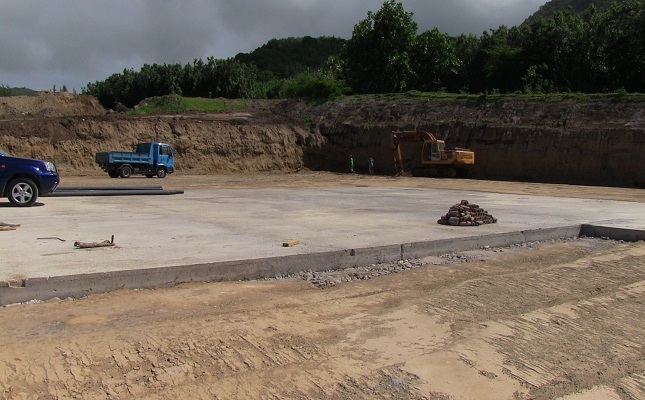 KUTh Energy has been awarded a production licence from the Vanuatu Government to carry out geothermal development on the main island of Efate. The company will now move on to carry out deep drilling and resources assessment, which will require the completion of agreements with key stakeholders including the landowners and state utility UNELCO. KUTh will be required to finalize terms with landowners once the resource has been delineated and the exact location of production drilling and power plant construction are identified. In the interim, the company will agree terms with landowners for exploration drilling with options for long term lease if successful. It is also negotiating the final terms of the power purchase agreement with UNELCO. This is expected to be finalized during the current quarter. Residents now have more time to weigh in on what could be one of the biggest infrastructure projects in Mono County’s history. A brand new geothermal plant that will generate as much power as all three existing Ormat Technologies power plants east of Mammoth Lake is in the works. Last week, the Bishop Bureau of Land Management (BLM) extended the time to comment on the project to Jan. 30. The 38 MWe geothermal plant is proposed for a site adjacent to the existing Casa Diablo Road geothermal complex, tucked up against the volcanic bluffs to the east of the complex. The project is in the planning and environmental review phase and is expected to come to fruition several years from now, if it is approved by the federal land agencies on whose land it will sit. In the meantime, the project is undergoing a federally mandated environmental review process, called a draft Environmental Impact Statement (EIS). BLM extended the public comment period on this draft, originally due on Jan. 15. The comments are now due to the appropriate federal offices by close of business Wednesday, Jan. 30. The Netherlands Antilles-based West Indies Power Nevis (WIPN) says it is appealing a recent court ruling that the Nevis Island Administration (NIA) says allows it to now cancel its contract to develop geothermal energy on the island. The NIA in a statement over the weekend said that as a result of the court ruling, it is now free to pursue the development of geothermal energy with other interested parties than the WIPN. But WIPN manager Kerry McDonald said that the NIA has mis-interpreted the court ruling and “that it did not cancel the license of WIPN to develop the geothermal resources on the island. U.S. authorities have approved another plan to develop and test a geothermal reservoir using enhanced geothermal system (EGS) technology at the Brady Hot Springs Geothermal Power Plant. This is the same technology we’ve been hearing about with the Newberry Volcano project in Central Oregon, although in the new Nevada situation the goal is to expand the use of an already built geothermal power plant, not start from scratch. Kenya’s hydro-power production capacity is about to be exhausted. Consequently, attention has now turned to geothermal sources estimated to have a potential of 10,000 MWe concentrated in the Rift Valley. Outgoing KenGen managing director Eddy Njoroge said the country’s capacity to develop new hydro-power sources was limited due to lack of sources where power can be tapped. Volcanoes not only frighten but can also bring wealth: this is the theory behind Naples' aim to use geothermal energy. 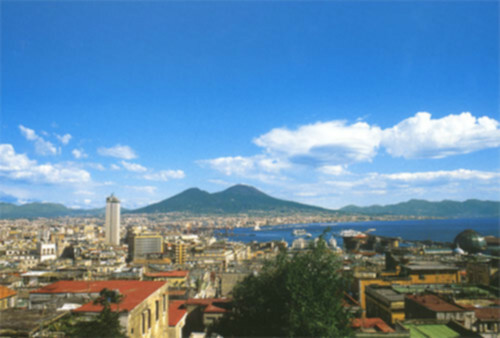 The city at the foot of Vesuvius also has another volcano to its west, that of the Campi Flegrei, and by the end of the year a project for a geothermal power plant will get underway in the area to take advantage of its subterranean temperatures, both for household heating and for power production. The announcement was made at a conference on ''The Environment, Peace, Geothermal Energy, Development and Labour'' held today in Naples. Japan Petroleum Exploration Co. (JAPEX) said Monday that it will begin a three-year feasibility study in June for geothermal power generation in Hokkaido, northernmost Japan. The company, will dig a well in an area near Musadake volcano in the town of Shibetsu to study underground temperature distribution and other subjects. If the location proves promising, JAPEX will build a 15,000-kilowatt geothermal power plant there, aiming to start its operations in or around 2023. The company estimates the total costs for the feasibility study at about 2 billion yen.